Follow this step-by-step guide and get set up for success. Welcome to Clark! In this article, we'll walk you through the basics of Clark and all our features. We'll cover the layout of the dashboard, where to find specific information, and everything you'll need to get set up. Clark was designed with you in mind. Everything you need to run your business can be found in the navigation bar on the left. Linking your company bank account to receive client payments. 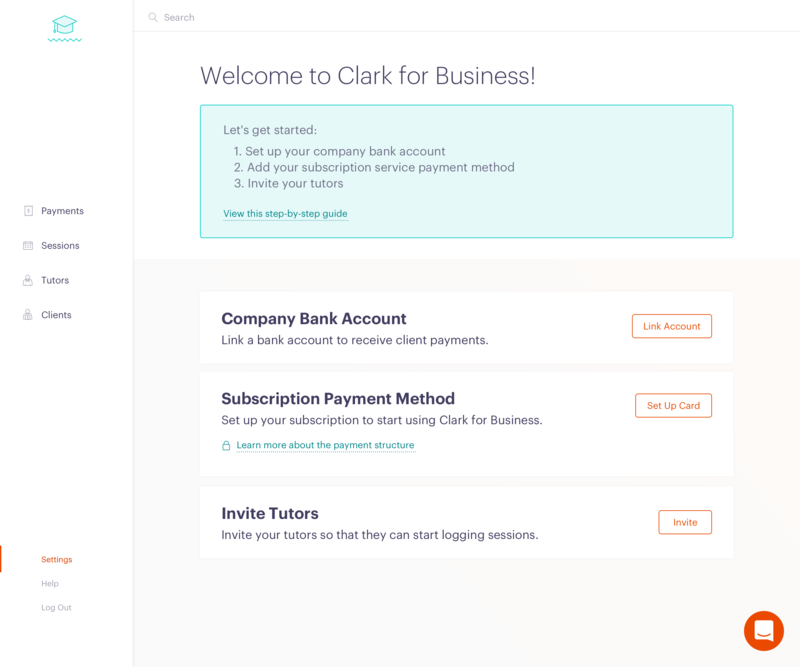 Setting up your Clark subscription payment method. Inviting your tutors to the platform. Payments – This is where the magic happens. 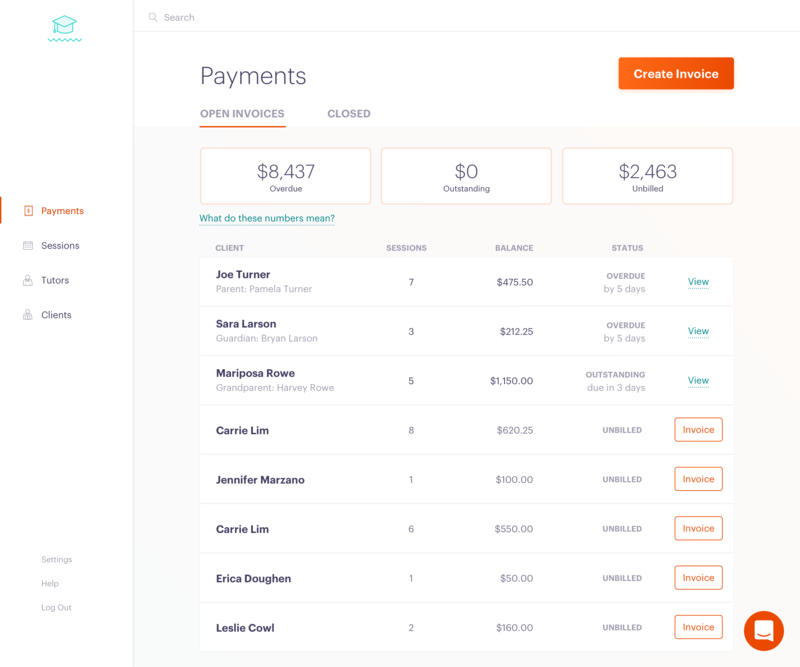 In Payments, you'll be able to view outstanding, overdue, and closed bills. 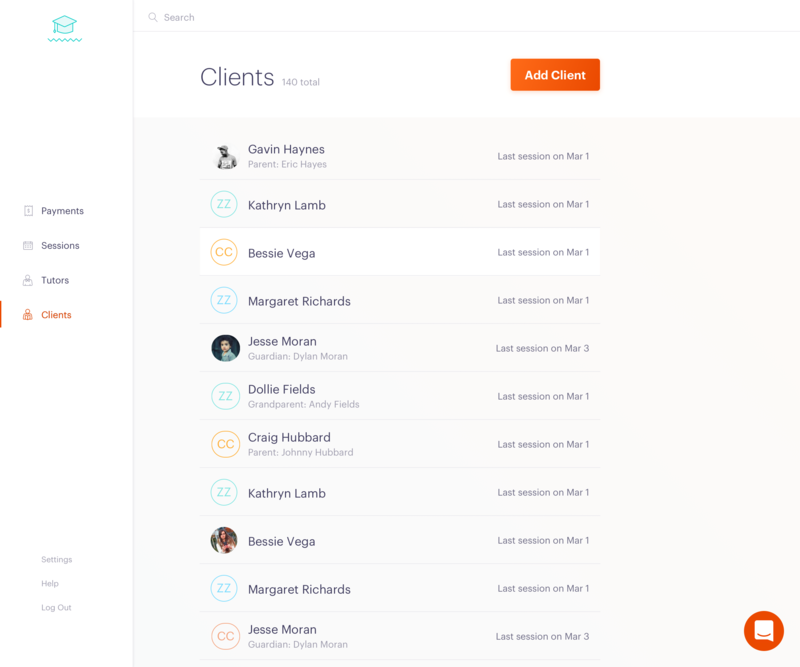 This is also where you'll send invoices to clients. 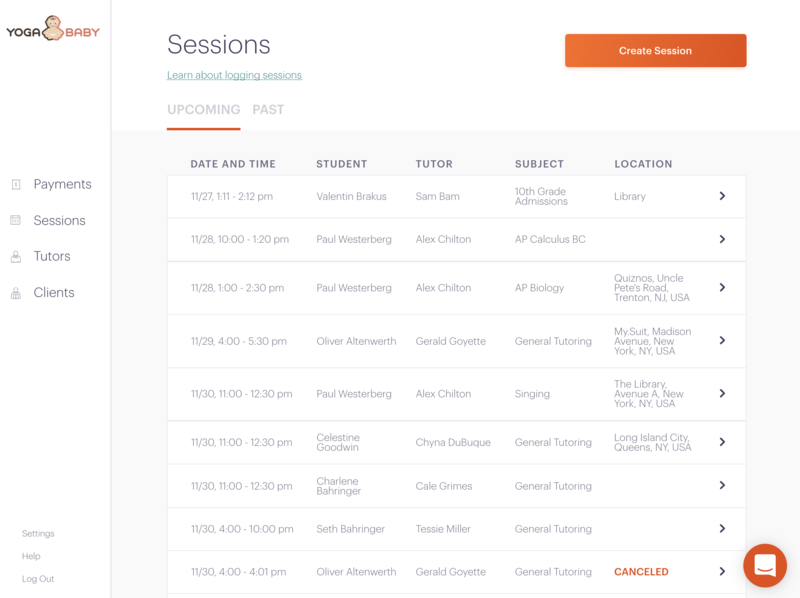 Sessions – Sessions will give you an overview of every session logged by you or an associate tutor. When you view an individual session, you'll have access to in-depth session details including session reports. 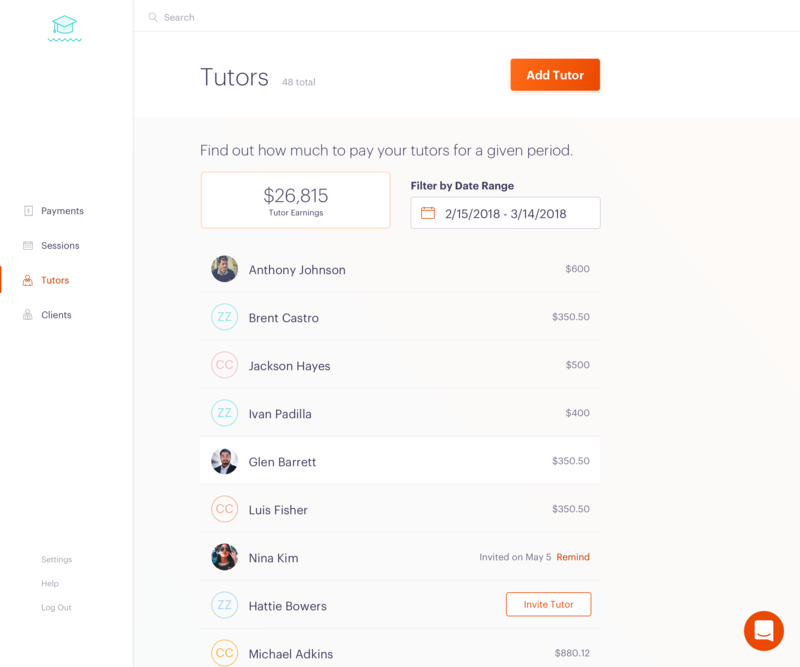 Tutors – Here, you'll be able to see overall tutor earnings in a given time period and edit a tutor's contact information. Clients – Similar to the tutors page, here's where you'll manage the personal details of your clients. You can also link a tutor to your client and create an engagement. Need help? No problem! You'll have full access to the Clark support center. If you have a question, just click the chat bubble in the bottom right hand corner of the screen, and a member from our customer success team will be ready to help.